Sevenoaks Rugby 1st XV secured an outstanding 13-7 win away at league-leaders Brighton Blues RFC on Saturday. The win positions Oaks, who also defeated Brighton at the Paddock earlier this season, three points off the top slot, with Medway in third and Camberley in fourth breathing down their necks. London 1 South is set for what promises to be an exciting home stretch, the first of Oaks' final eight matches coming against Westcombe Park at the Paddock on Saturday 9 February following the upcoming rest week to mark the start of the Six Nations. Oaks started the match in combative style, while Brighton, clearly still hurting from the loss at the Paddock, were pinged for over-exuberance at the breakdown enabling Oaks to strike the first blow in the form of a penalty from the opposition 10-yard line thanks to the trusty boot of Ben Adams. Blues for their part began to move the ball convincingly up field and before long their huge pack had set up field position for the Blues 10 to jink his way through the Oaks defenders to dot the ball down for a converted try. With the tide turning and proceedings looking a little ominous for the visitors from Kent, the Blues yet again made an illegal infringement and the resulting Adams penalty pegged the deficit to 6-7 and Oaks were well in contention. Only 10 minutes had gone in this absorbing match and incredibly the score was to be unchanged for the next 65 minutes. The match was characterised by the kind of niggle you expect to see when two teams at the top of their game slug it out, each trying hard to maintain their attacking shape and develop continuity in the face of quality and resolute defending. Something had to give, and so it was that Oaks, digging deep and falling back on all the hard work at the Paddock on a Tuesday and Thursday evening, found the edge. With five minutes to go until the final whistle a series of mauls from Oaks saw the lads from the Paddock turn the screw, and rumble the ball towards the Blues whitewash for Matt McCrae to barrel over for a try, Adams adding the extras to make it 13-7. 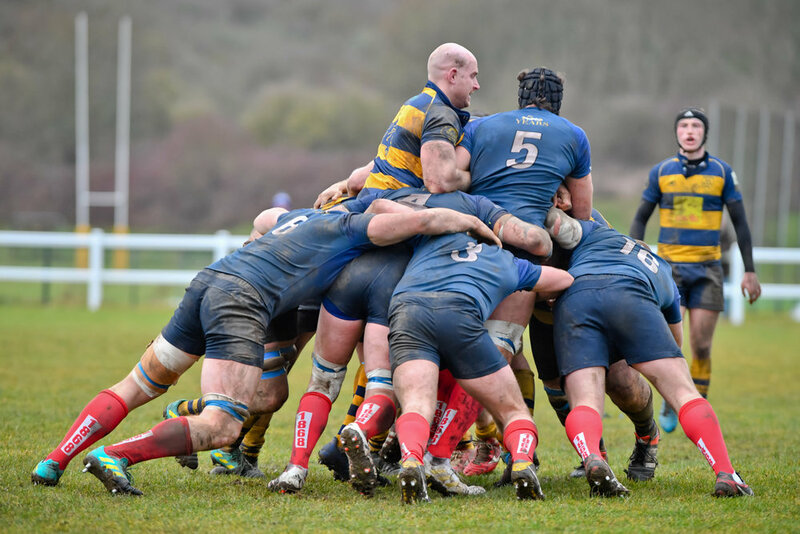 Brighton threw everything they had at Oaks during the match's dying embers, and worked their way into the navy and gold 22 But Oaks stood strong as oak, and held firm to bag a hard-fought victory. Both sides to be fair played their parts in a titanic tussle. Before the match the spectators had been treated to an entertaining curtain raiser in the shape of a friendly fixture between Sevenoaks Under 12s and Brighton Blues Under 12s, with honours even across a brace of matches, Oaks winning the first and Brighton the second. 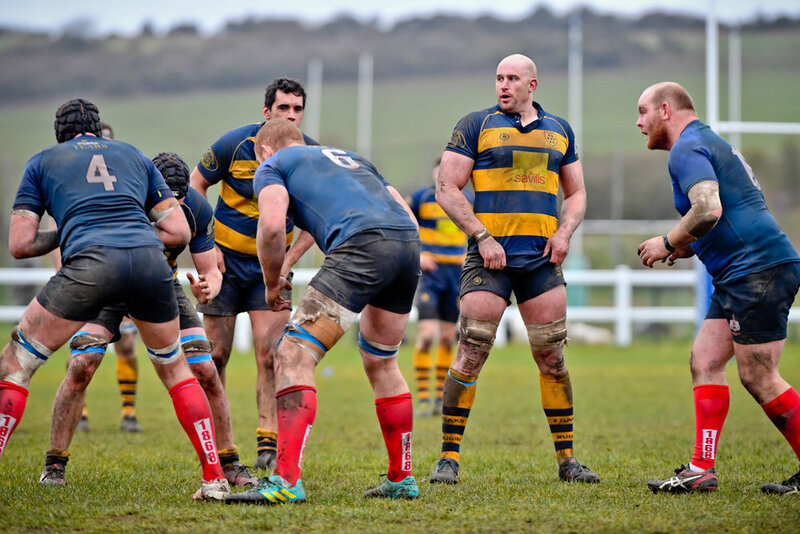 The main match was particularly special for captain Stuart Coleman, securing his 150th Sevenoaks Rugby cap and credit must go to Coach Adam Bowman who following a training pitch misadventure, was pitch side to marshal proceedings on Saturday with the support of a pair of crutches. Thanks as ever to the vociferous travelling faithful, who were well and truly rewarded with a compelling spectacle in a win that continues Oaks' momentum on a memorable day when all four Senior Sevenoaks sides were in winning form; the 2s, 3s and the Gents winning convincingly against Beckenham, Canterbury and Ash respectively.